Posted on May 16, 2018 June 4, 2018 by Heather W.
I have partnered with Ivory Soap to help you simplify life so that you can spend more time on the things that matter most. We purchased our first home this past Fall and have all been patiently waiting for the arrival of Spring so we can start working on the landscaping. I have always loved gardening with my kids and I am so overwhelmed with excitement now that we own our home and are able to do bigger gardening projects. As a mother of three I know all too well how busy and hectic life can get, but I promise you that your kids will benefit in so many ways when you decide to start gardening as a family! If you are looking to start simple, I recommend getting some planted pots to put around the exterior of the house. 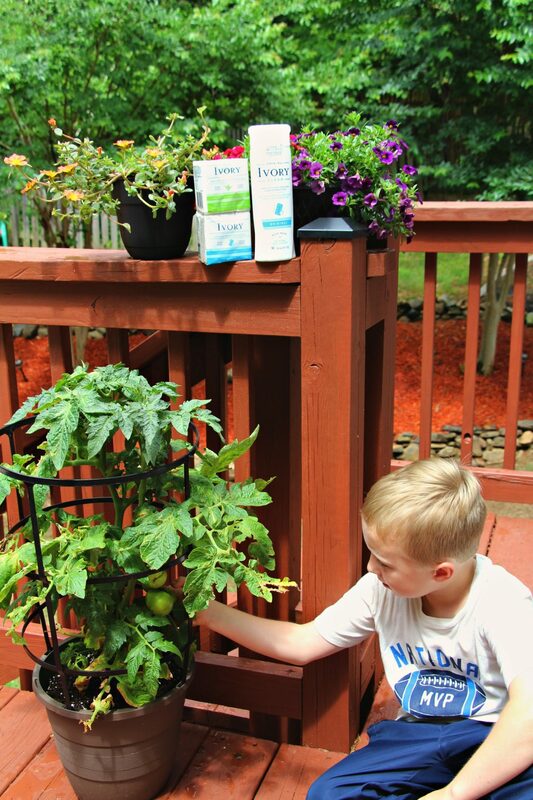 These are easy for the kids to water on their own and keep an eye on their progress! Rose bushes are also a very easy gardening project to tackle! 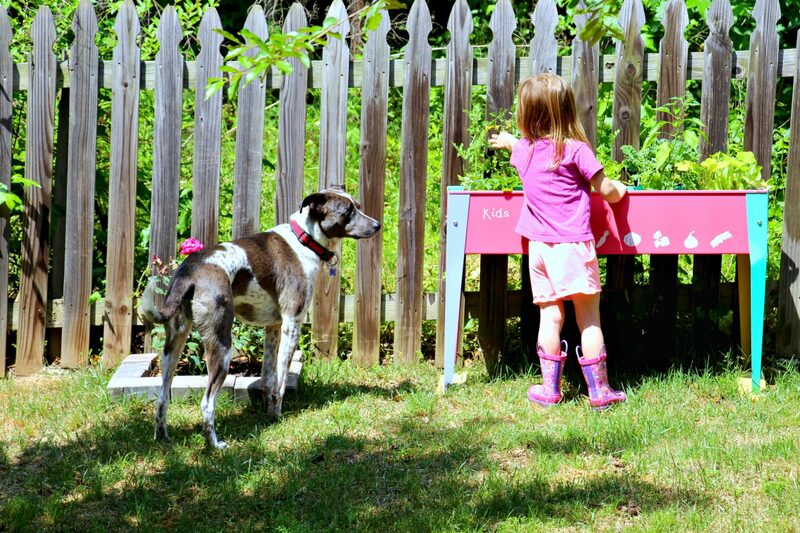 So why exactly is gardening so beneficial to your kids? Here are 10 reasons why! Out of all the gardening projects we do around the house, the veggie garden is hands down always the favorite! 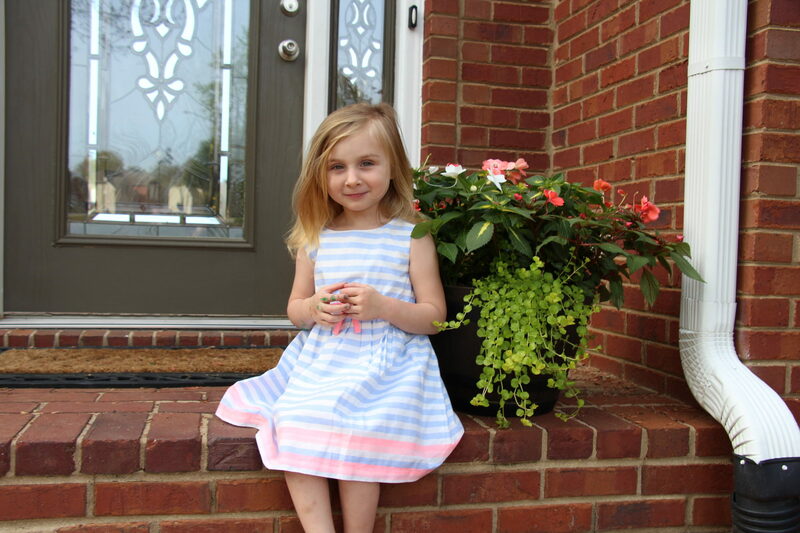 I let each of my children choose several veggies they would like and we plant them in a large planter. My youngest daughter enjoys pulling out any debris or dead leaves, and enjoys updating everyone on the progress of the veggies! 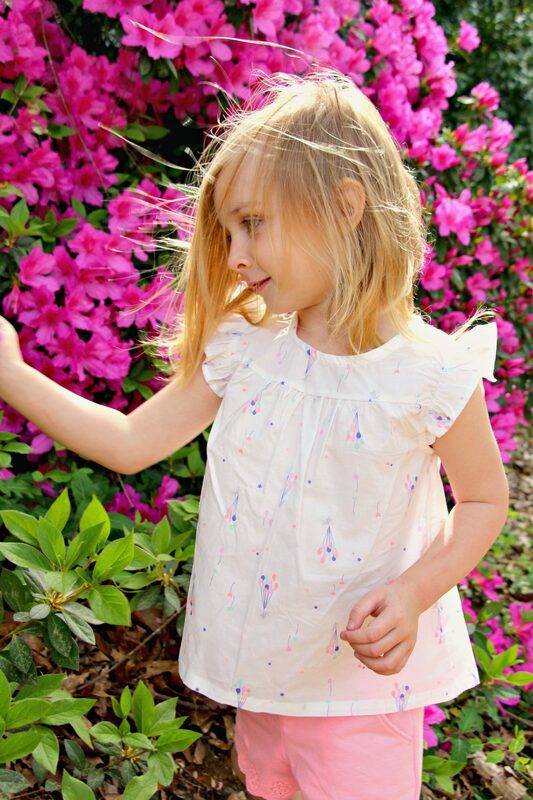 What my children truly love about gardening is simply getting their hands in dirty! They love working with the soil, collecting earthworms in the dirt and not having to worry about getting messy. My kids take full advantage of this opportunity to get messy and are always covered head to toe. After spending a beautiful time gardening, the last thing I want to worry about is the hours spent trying to get them cleaned up. The older I get the more I realize that my time is the most valuable thing I have! I am always looking for ways to simplify my life so that I can spend more time creating memories with my kids, rather than having to worry about cleaning up the messes. Ivory bar soap and body wash is something in my life that helps me simplify life so that I am able to focus more on the important moments with my children! What I love most about the Ivory products is that they are made using only pure & purposeful ingredients in order to give parents peace of mind… because we have enough to worry about as it is! With Ivory’s trusted value, it’s easy for me to make better choices for my family, each and every day! As a family of five I am always more fond of a product that we all can use, because purchasing products for each individual can be costly and time consuming! 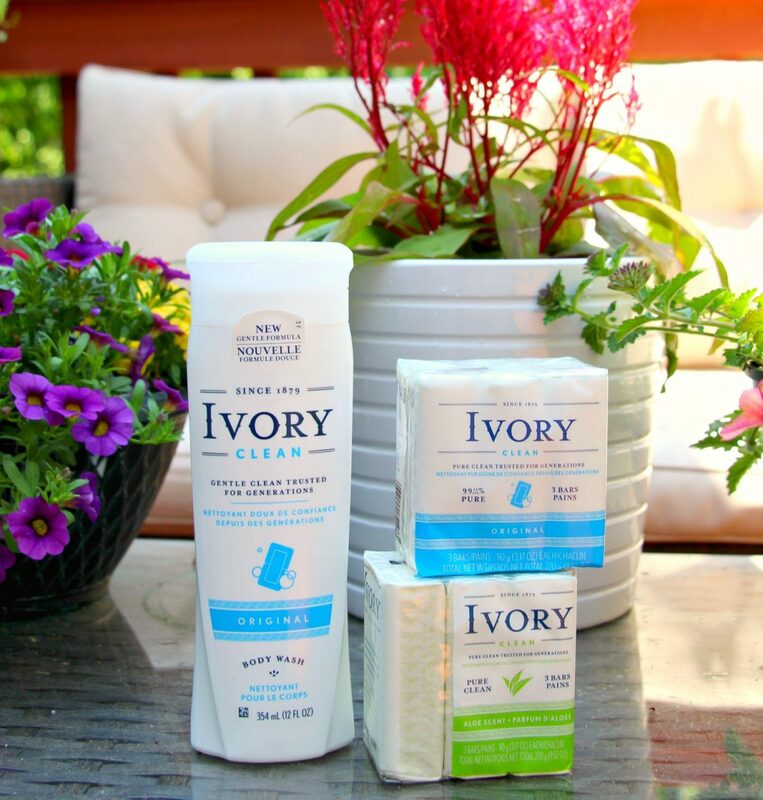 Thankfully Ivory products provide a pure, gentle clean for my entire family! I think you will also be pleased to know that Ivory created the first soap that was 99.44% pure and continues to make safe and gentle products for the whole family. The Ivory Clean bar soap is free of dyes and heavy perfumes and reflects over, they have a new look, but it is the same pure soap! The Ivory Clean Body Wash contains a new gentle formula and a gentle clean that has been trusted for generations. This product is also free of dyes and heavy perfumes. I hope you enjoyed learning about the benefits of gardening as a family! 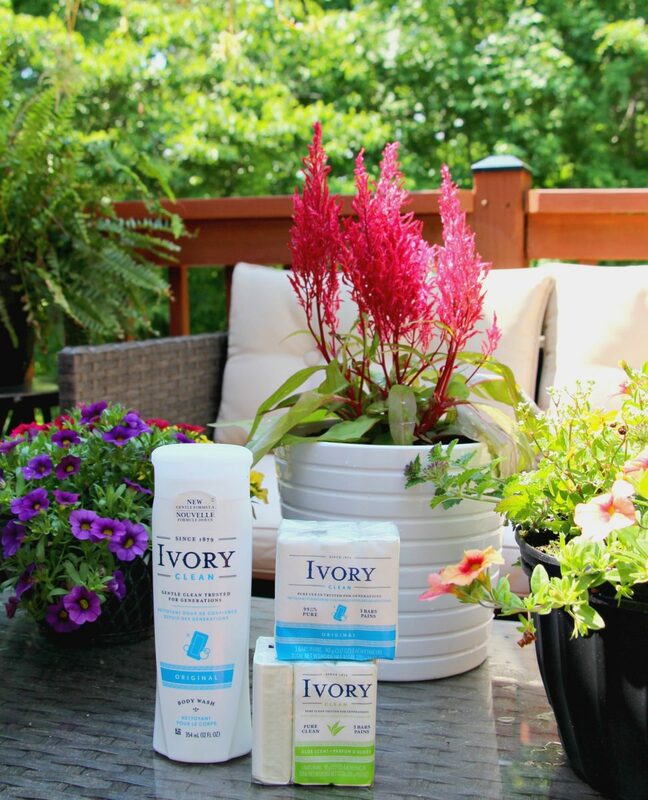 Let me know in the comment section below what you love about Ivory products! Keeping my three kids clean is quite the task, but Ivory makes it simple and safe so that we can spend more time creating memories as a family!